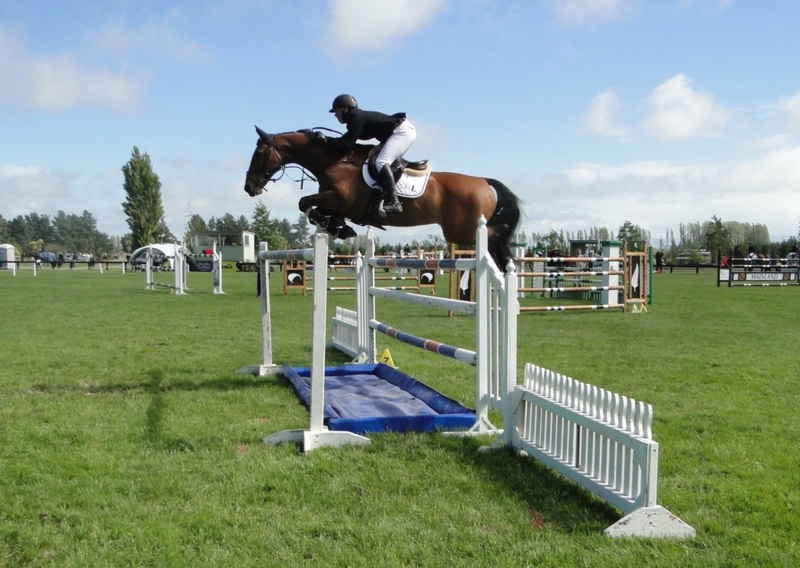 Prestigious titles are up for grabs this weekend at the NRM New Zealand National Jumping and Show Hunter Championships 9-11 February. The South Island National Equestrian Centre at McLeans Island is looking in fabulous condition to host this yearly event, which is free to enter for public. Three Jumping rings and two Show Hunter rings will be run over three days to provide a spectacle of top equine competition. The new format of the National Championships has seen entries increase across the board, with many series leaders contending for valuable premier points. The most esteemed competition will be the Dunstan Horsefeeds & Equifibre NZ National Horse Grand Prix Championship in association with Wilcox Perlas Potatoes. Nine quality combinations will line up in this class, which includes series leader Harry Feast and Double J Bouncer. He’ll be making the most of his hometown advantage against his fellow South Island comrades, as well as visiting North Islander Danielle Maurer aboard Dicavalli Don Quattro. Maurer has made the long trip down from Auckland with five horses, hoping to take home a share of the glory. A strong field of fifteen challenge the title in the Fiber Fresh NZ National Pony Championship. Both Grace Manera and North Islander Sophie Scott double their chances with two ponies entered each. However one chance can be all you need. Rosa Buist-Brown aboard Junior Disco will be a hot chance as another combination sitting in the top ten of the series leader board. All combinations are in with an opportunity to secure precious double points in the Country TV Pony Grand Prix Series. Riders will need to make an impressive start in Friday’s speed round to put them in pole position for Sunday’s final two round competition. In between the national titles for rider and age group series will be decided on Saturday. It will be a South Island affair in the rider group series, with many favourites as the target to beat. Riders from both ends of the Island will contest the Caledonian Holdings Amateur Rider in association with Lone Goat Vineyard. Top mainlander Anna Douglass will start both her horses to double the odds; however she will see a challenge from regular prize winners such as Jess Sonne, Candace Kingsbury and Helen Ensor. The Dunstan Horsefeeds & Equifibre Junior Rider in association with Leg Up Performance Oil will as usual provide a great contest. The highest ranked series rider Tayler Nalder will be looking to fend off close rival Steffi Whittaker, who is on form with her team of horses. Sophie Townsend will be hoping for a win after a number of consistent placings and why not make it a title win at that. Sophie Scott and Olivia Harkerss may consider themselves twice as lucky competing two horses each. Whittaker will look to continue her winning run in the FMG Young Rider in association with Rangiora Vet Centre. She starts just Ngahiwi Cruise up against a quality field, including New Zealand Young Rider team member Lucinda Askin aboard Portofino. Todd Magner will be the wild card on Awatuna Jonesy. Magner has been competing in the North Island over the University holidays and is yet to line up against the South Island girls this season. Local Devon van Til and Winterberg will be the favourite heading into the Dunstan Horsefeeds & Equifibre Pro Am Rider in association with Moa. Although it’s not sure thing with a number of quality combinations entered. Kirsty Sharapoff and Shoot The Breeze are a force to be reckoned with in a jump off, as well as Angela Frewer and Donala Dundee. Nationals Committee Chairman Gus Taylor will take a break from his duties to compete Oak As, who can never be discounted. The young horse classes will display the improving quality of horses coming through the sport. Tegan Fitzsimon and Windermere Cappuccino have won all of their starts in the Purepine Shavings 7 Year Old Series and will no doubt be aiming to continue the trend in this class sponsored in association with Platinum Performance. The Mitavite 6 Year Old has attracted a classy field of nine horses, which includes four NZPH youngsters. It will be hard to pick with many so far only jumping for double clears and now they will compete against the clock. With a small number of age group classes in the South Island, local combination Courtney Townsend and Adele will be looking to gain valuable points in the East Coast Performance Horses 5 Year Old in association with NZ Horse & Pony Magazine. Townsend’s toughest opposition will come from Sophie Scott and Glenbrooke Rich As Roses, who have more experience competing in the North Island. 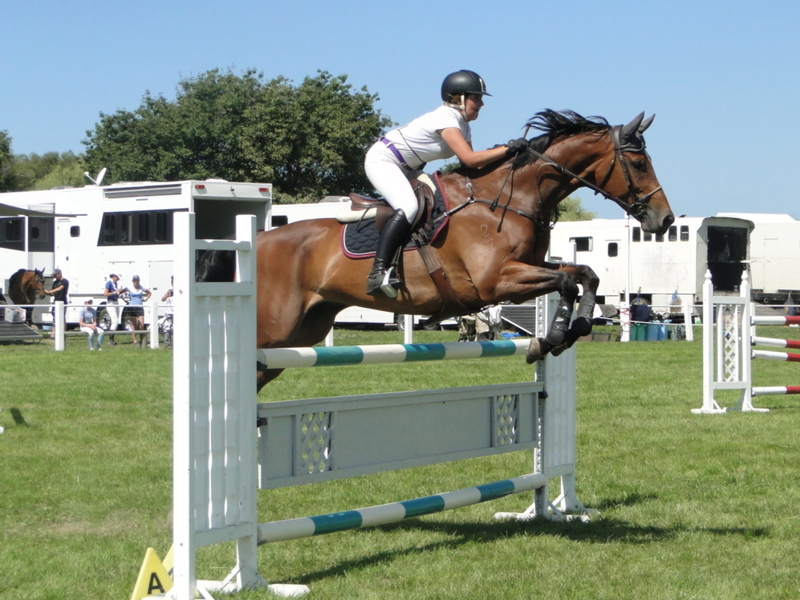 Show Hunter boasts a full programme off National Series classes and titles. The Rising Star Championships are a popular competition for less experienced horses and ponies coming through the discipline. A number of the open classes have qualifying rounds on Friday and Saturday, with finals day on Sunday. The Saturday Night Showdown is never to be missed at the NRM NZ National Championships. It gets off to a thrilling start with the Tavern Harewood NZ National Horse Derby Championship, where Sharapoff is the favourite to claim back to back wins. However there are fifteen other serious combinations hoping to steal her thunder. Spectators can satisfy their hunger and quench their thirst with a great dinner planned and the bar open all night. The evening is topped off with the Wonderdog Teams Challenge, which comprises of hound and human agility challenges in teams over the jumping levels. It’s bound to create tonnes of laughter and entertainment for the whole family.